Is the car you drive to work, school, or the store the safest vehicle for you and your family on the road? The Insurance Institute for Highway Safety (IIAS) continuously performs vehicle crash tests to determine which cars on the road are the safest and unsafest to drive. Their constant efforts to help consumers make the best choice possible to maintain the safety level for their family when commuting long and short distances around the Chicago metropolitan area, and all throughout the region. While all cars are required to have specific safety features including seat belts, airbags, safety bumpers, headrests and other equipment, not every vehicle meets even the basic minimum standards set forth by the National Highway Transportation Safety Administration (NHTSA). 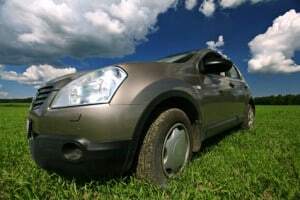 Where the best and safest automobiles on the road take advantage of the latest auto safety technology, dangerous cars typically have minimal safety features, but sell at affordable prices. However, families should never be forced to choose between safety and affordability. #1 Kia Spectra – This attractive vehicle is ranked poorest for front and side-impact crashes. In fact, it ranked highest for injuries and other serious medical issues when motorists and passengers are involved in an accident in the Spectra. This car is designed specifically to be affordable, but offers no quality safety features, making it dangerous to drive on local Chicago streets and freeways. #2 Chevrolet Cobalt – Car insurance companies rank the Cobalt near the top of the list of most dangerous vehicles. With only four cylinders in the engine, this large body car ranks poorly because of its missing side-impact airbags (available only as an option), and lack of other necessary safety features. #3 Pontiac G5 – As a direct relative of General Motor’s Chevrolet Cobalt, the Pontiac G5 has been ranked high for producing an increasing number of personal injuries when involved in an accident. Necessary safety features including side-impact airbags are offered only as an option and are marketed as an affordable option for low-budget alternatives when purchasing a new vehicle. #4 Dodger Charger – This aggressive-looking car is popular across a wide demographic. However, it is also known for its high number of medical injuries caused by its poor design that often does not stand up when involved in minor collisions. #5 Mercedes CLS Class – Often referred to as “large luxury” car, the CLS class of Mercedes-Benz has its share of insurance problems. In fact, insurance companies rate it as dangerous, due to its safety records, with its poor design in handling minor to severe car accidents. #6 Mercedes S Class – Ranked poor in collisions amongst all of its competition in the same class, this S class Mercedes is not only expensive to repair but nearly unaffordable when paying for comprehensive insurance. #7 Toyota Scion TC – Ranked among the worst small cars available in the marketplace, this attractive, yet collision-dangerous, Scion ranks highest in collision insurance premiums. This is because of its inability to protect passengers and drivers in even a minor accident. #8 Cadillac Escalade EXT – While it is hard to imagine large cars rank among the most dangerous vehicles on the road today, the Cadillac Escalade EXT has a high number of comprehensive insurance claims. It appears as though the EXT model (missing the rear cargo area) is more dangerous than its full-size SUV comparable sister, the Escalade ESV. #9 Mitsubishi Lancer – Among the most dangerous vehicles traveling the road today, the Mitsubishi Lancer showed bad results in collisions involving injuries, including a high number of associated head injuries. Its accident rating reveals how dangerous it is, although it remains trendy among young buyers. Auto buyers should follow the Insurance Institute for Highway Safety’s lead and a make an informed decision when buying a relatively safe vehicle for the family. It is best to check every safety feature including statistical information on front-offset crash tests results along with side-impact crashes, rollover ratings, rear impact protection ratings, and others. When involved in a serious accident, it is important to hire a team of experienced attorneys. The Rosenfeld Injury Lawyers LLC have helped many victims of car accidents with injuries in their efforts to obtain financial recompense. If you, or a loved one, have been injured in a car crash that was not your fault, call (888) 424-5757 or fill out our online contact form to have your case evaluated.